Bardolino is Lake Garda’s wine capital. The gentle slopes surrounding the town are a neat patchwork of vineyards and wine cellars from the edge of town right down to the shores of the lake. The towns itself is a resort town. The best places to stay in Bardolino share views of the gently rolling slopes and the lake, and we've picked out some real charmers. Bardolino is located on the widest part of the lake, on the Verona side, and is linked to the beautiful walled town of Lazise and Peschiera del Garda by the lakeside path. Relaxed and fairly uncrowded, with great food and good transport links, Bardolino is in a great position for the lake ferry. The town makes an ideal base for exploring Lake Garda, especially for the first time visitor. Plus there’s the wine… You’ll not want to miss the weekly produce market, held on Thursday mornings. If you are travelling with children then Bardolino is close enough to Gardaland and a few other parks that you can get there using public transport. This area is extremely busy during July and August, so if you want to guarantee a room in one of the best places to stay in Bardolino during the summer season, get organised and book well ahead. The Tobago Wellness Hotel is an 18 room hotel with extensive spa facilities and contemporary decor. The rooms have beautiful views of the lake and of the hills and there’s an excellent Italian restaurant, a Turkish bath, jacuzzis and hydrotherapy on offer. 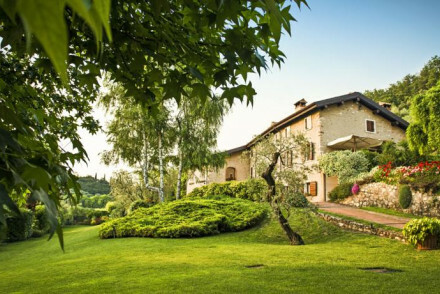 The Locanda San Vigilio is an intimate and elegant lakeside hotel with wonderful character. 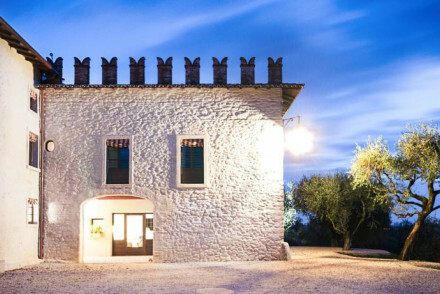 Once owned by an Italian count, this beautiful villa now has 14 rooms, all still filled with beautiful antiques and objet d’art. 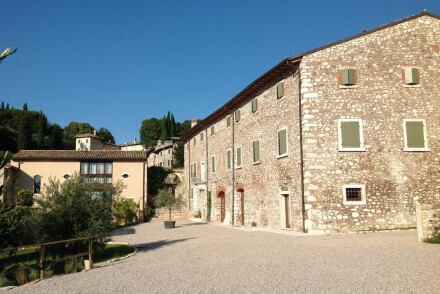 Pianaura Suites is a beautifully restored 17th century property situated amongst the Valpolicella vines, offering luxury accommodation, terraced gardens and plunge pool. It's ideal for a romantic break with just two suites and no children allowed under 14! Relais Rossar is a secluded villa with a comfortable, friendly atmosphere and 16 rooms. There’s a large garden and beyond that peaceful countryside with great walking and cycling trails. Relais Colle San Giorgio offers excellent value for money. Smart rooms start from as little as €85 per night B&B. Plus you'll enjoy wonderful views and there's a lovely pool for cooling off. Bianca Leo B&B is another cheap and chic option. 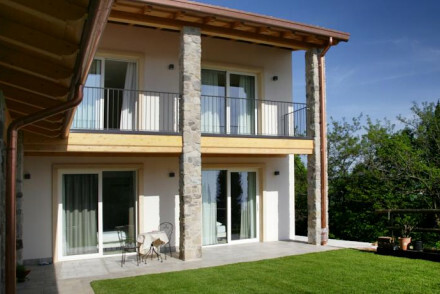 With just three rooms, gorgeous pool with terrace and superb eco-credentials. You'll have to book early, but prices start from just €100 B&B. Bardolino is on the south-eastern shore of Lake Garda, positioned between several international airports: Verona-Villafranca and Brescia-Montichiari. It’s also about 100kms from Venice Marco Polo airport and from Milan’s Linate and Malpensa. The nearest railway station is Peschiera, 15kms away, but you’re only around 30kms from Verona. If you want to hire a car - which we highly recommend if you’re staying on Lake Garda - we recommend you visit our online partner Rentalcars. Bardolino enjoys a mild, temperate climate with four distinct seasons, summer being the most popular time to visit. Between June and September temperatures are in the mid 20s and you get nine of ten hours of sunshine a day. Late spring, when it’s starting to warm up again, is considered the optimum time for walking holidays.